I hope you enjoy this inspirational little clip today. 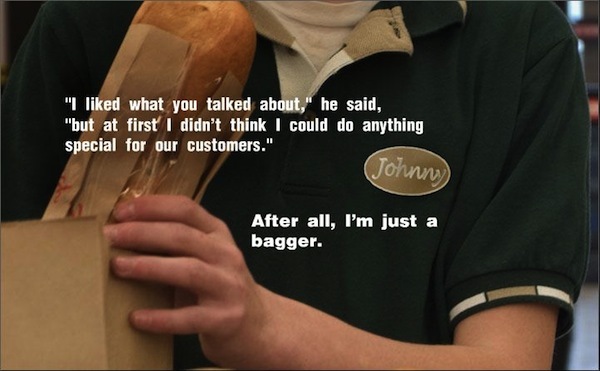 May we all aspire to be as awesome as Johnny. Thanks for sharing this Julie! It's a great reminder of some of life's important things that often fall by the wayside. The website is looking very spiffy!! Blessings! Thanks Jim! Hope all is well! hey nice site i will definaely come back and see again. That is definitely polite with definitely find a site where our blogger knows what they have to come speaking with regards to. whoah this weblog is fantastic i love studying your posts. Stay up the good work! You recognize, lots of individuals are hunting around for this info, you can aid them greatly. Now this form of info is really worth hunting for, straight answers for readers as well as a value in your case as will definitely show human eye the author. It’s good to possess most of these articles around to maintain the info flow steady. Helping folks that can really make things right in the future, great work! Great information, I’ll read it over again!